When you think of Miami, FL, what do you think of? If you’re not from Miami, you may think of beautiful beaches, beautiful women, clubs, the night life and all that jazz. Yeah, that does indeed describe a lot of what Miami is but locals like myself would also tell you it’s heavy traffic, bad drivers and expensive real estate. You know what else can be linked with Miami? Unpredictable weather. It’s crazy how you can wake up in the morning and it’s completely sunny as you begin to plan your day outside. A day at the beach? Washing your car? Maybe a day at the park? Sure. Either way, the weather is great so it’s a great time to enjoy it. Next thing you know, it’s completely dark outside and it’s raining harder than it did in the original Jumanji movie. What the heck just happened?! So your day is ruined now. What started as a beautiful day turned out to be a rainy one so you forget about the outdoor plans and decide just to kick back and chalk it up as a Netflix day. Just as you start up your movie or series, you realize something. It’s sunny again! Wait, what?! How? Yes, this is real life folks. Trying to figure out Miami weather is nearly impossible and so is trying to figure out exactly which players in fantasy football are going to be a hit and which ones are going to be a bust. You know what’s even harder than that? Trying to figure out how rookies are going to play out. We have NO idea what to expect. So what if a player was great in college? It doesn’t automatically lock them in to be successful in the NFL. We get so caught in the numbers they produced in college, that we try to create this narrative that they will be good at the next level. Truth is, we are always going to be WRONG many times with player expectations. Last year, like anyone one else, I hit on some predictions with the rookie class and totally missed out on others. Hey, it happens right? It’s fantasy football. 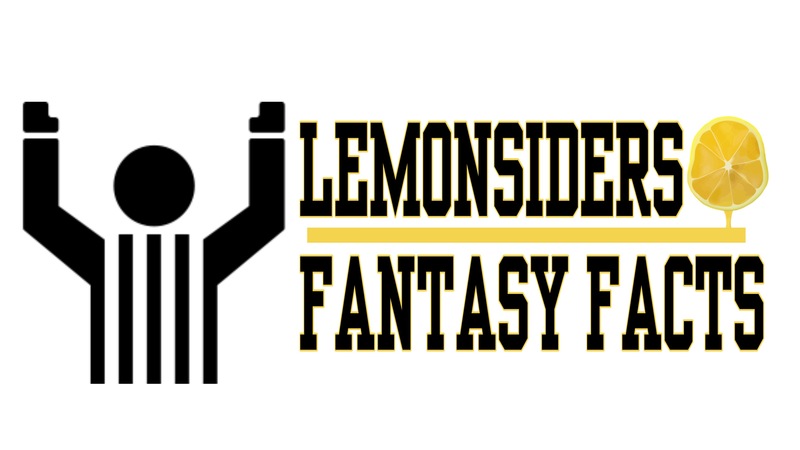 It’s completely unpredictable and I do my best to give you facts on this incredible game called fantasy football. Hence the name “Fantasy Facts”. Yup, it’s a perfect oxymoron but describes what any fantasy writers/analysts does. On that note, let’s dive into our Fantasy Facts rookie class outlook/predictions for running backs. There are players I’d swipe right on and some I’d absolutely swipe left on. Before we get into the players, can we take a moment of silence for the Darrius Guice injury? ….sigh. This was my favorite rookie player aside from Saquon Barkley and I was smashing the draft button on him non stop in all my mock drafts. Then the injury came. Torn ACL, done for the year. Mama no! So much talent, so much upside, so much hype all came crashing down. I hope he has a speedy recovery and I’m excited to see if he can fully recover for next season. Let’s keep this man in prayers and my heart also does go out to those who drafted him in best ball leagues. I know, I know. The Lions backfield hasn’t been one of the most exciting backfields in some time. Not to mention, it’s a very crowded backfield. Ameer Abdullah, Theo Riddick, LeGarrette Blount and yet they went out and drafted a rookie? At first, I wasn’t too thrilled about being interested in a backfield this deep. The more I thought about it, I feel Ameer Abdullah’s window is closing, Theo Riddick is primarily a pass-catching back, Blount has to wear down eventually, so who can do it all? That answer is Kerryon Johnson. Right now his ADP in 12 team leagues is early to mid 6th round. He’s their most complete running back and their offensive line is much improved. Keryon went off for 1300+ yards and 18 touchdowns last year as a Junior from Auburn. It’s too early in preseason to tell if he’ll be their number one but his upside is too great to pass up in drafts. I do have to throw up a caution sign. My take is that Kerryon will emerge as the Lions #1 RB, BUT it may take a few weeks so be patient if you do draft him. The Lions invested in their O-line during the offseason and they should have one of their best lines in a while so I fully buy into the Kerryon Johnson hype. It’s obvious Saquon Barkley is going to be THAT guy. No need to even bring him up. He’s going to be drafted in the 1st round in every fantasy league and after his first NFL run in the preseason, I’ve seen him go in the top 6 picks in some drafts. Once Guice went down though, the next rookie stud that drew my attention was Royce Freeman. You’ll have your lovers and haters of Freeman. For some reason, many still hold up that the Broncos other running back Devante Booker can win the starting job. Royce is an all around back and he should definitely be the Broncos bell cow back. He’s impressed at camp and has looked beastly in the preseason. He can catch, run, carry a heavy workload and has 4.5 speed. His draft stock keeps moving higher and higher but he’s still a player you should be looking to add to your squad. The Colts have Luck back, as in the quarterback, not as in them having hopes to having a good season. In all honesty, the Colts are a team I don’t see winning too many games but this doesn’t mean we shouldn’t be targeting some of their players for fantasy goodness. So why do I like Jordan Wilkins over the Colts number one RB on the depth chart Marlon Mack? Easy, I’m worried about Marlon Mack’s hamstring injury lingering longer. Mack was limited last year and coming into this year, he seemed like the clear starter. Then the Colts go out and draft not one but two rookie running backs. They add veteran Robert Turbin and what happens? Mack gets injured, Turbin gets injured. This leaves Nyheim Hines, rookie running back from NC State. A 5’9 RB who can line up all over the field as a receiver and to me, isn’t the answer for a full work load. This leaves Jordan Wilkins as the one who can shoulder the workload. Can this be a running back by committee situation? Possibly. The advice I always go by is this : In a RBBC situation, draft the cheapest one with the most upside. Ronald Jones shockingly went number 38 overall in the draft. He landed on a team whose leading running back in 2017 was Doug Martin, who lead the team with the most carries. Other RB’s on the depth chart are Peyton Barber, Jacquizz Rodgers and Charles Sims. Not the most exciting bunch. So why not Jones? He suffered a pre-draft hamstring injury, he does have track speed but is he someone who can carry the full workload throughout the season? I’m not convinced on that just yet. He only caught 32 passes in THREE seasons at USC, and has struggled with pass protection at camp. Let us not forget that the Bucs will have Fitzmagic under center for the few first games with the Jameis Winston suspension. This could very easily be a team that may be down a lot and in negative game scripts, so having a running back who is NOT much of a catch back out there could be risky, especially if you’re in a PPR league. I don’t fully dislike Ronald Jones as a player but I fully dislike where you would have to draft him to get him on your team. This preseason has been rough on him and as of now, I can’t see myself picking him up unless he falls extremely lower than his current ADP. I think we’re being too hard on Ronald Jones. As soon as he learns to catch, block, take a handoff & see the hole he could be special. This is a tough one because I absolutely loved Nick Chubb coming into the draft but then when he ended up on the Browns, I was bummed out. It’s not that I’m against the Browns, but they had just signed Carlos Hyde and were in talks of resigning Duke Johnson as well. Look, Chubb is great, I don’t doubt it at all. Chubb is going around round 10, not too bad of a spot to perhaps take a flyer on but I’m not sure how I’d feel holding on to him on my roster week in and week out. This is one of those where I love the player but hate his landing spot. Duke Johnson isn’t going anywhere, they spent decent money on Hyde so how much work will Chubb get is unknown. He may be someone that as the season progresses, he’ll be useful to plug into your weekly lineups but as of right now, I’ll let someone else draft him and deal with that headache.